St Cathryn’s Country Golf Estate is not your typical golf estate. St Cathryn’s offers you a variety of activities for you and your family to enjoy together. The choice is yours; Play a round of Golf, catch bass or trout in one of the two dams, take a leisurely walk or mountain bike ride on our new mountain bike trail through the well kept forests. Why not see how many of the 250 bird species you can spot, or marvel at the pair of crested cranes that live nearby? Enjoy the peaceful tranquillity of the pristine wetlands, relax with friends overlooking the dam with sundowners, as the rietbuck and duiker stroll by. The challenging 9 hole golf course will keep seasoned and holiday golfers busy for hours. Reasonable Golf Membership rates are available, Corporate Days and Golf Tour Groups are welcome. We take pride in our comfortable, self-catering accommodation, with numerous offers to choose from, you are spoilt for choice! Delicious home cooked meals are available on request. The well maintained golf course is set on 53 hectares of rezoned farmland, now a golfing estate. Settled in the heart of an unspoilt tourism area, it sets the scene for time to just fly by - that's what happens when life is filled with fun! Secure your piece of this magic. Sites are on sale and the freehold opportunity allows you and your family to own a piece of paradise right on the water’s edge. 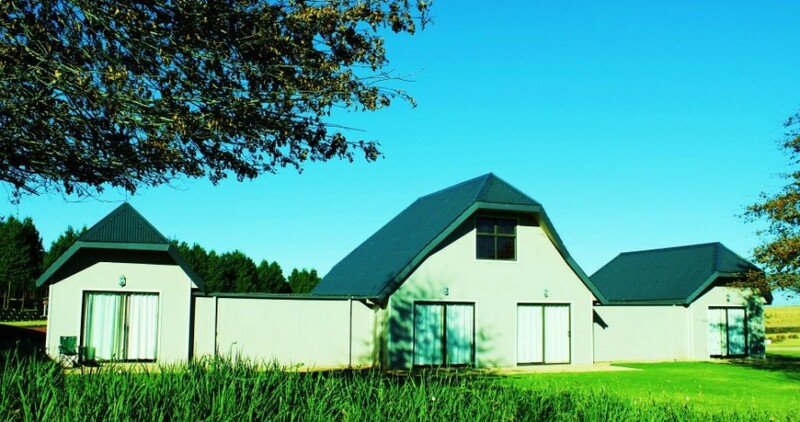 All of this is located just outside of the village of Kranskop, in the scenic KwaZulu-Natal Midlands, only about an hour from Ballito, Pietermaritzburg and Mooi River, we are closer than you think. Come and see for yourself! Day visitors welcome and golfers and fishermen. Safe and secure surroundings, 53Ha Electric Fenced. Sites for sale, own your own piece of paradise. There are 28 sites of which 7 have been sold. Pet friendly only by prior arrangement. At St. Cathryn's we have newly built modernized accommodation. "Birdie" A log cabin that sleeps 2 adults, and 2 children in an upstairs loft. Separate shower with toilet. Small self-catering kitchenette. "Bunker" A one room with separate shower with toilet. Small self-catering kitchenette. "T-Box" One room that sleeps 1, with separate shower with toilet. Small self-catering kitchenette. "Motel Block" Four en-suite Double Rooms, with separate shower with toilet. One of which has an upstairs bedroom, that sleeps four. Small self-catering kitchenettes. Car ports. 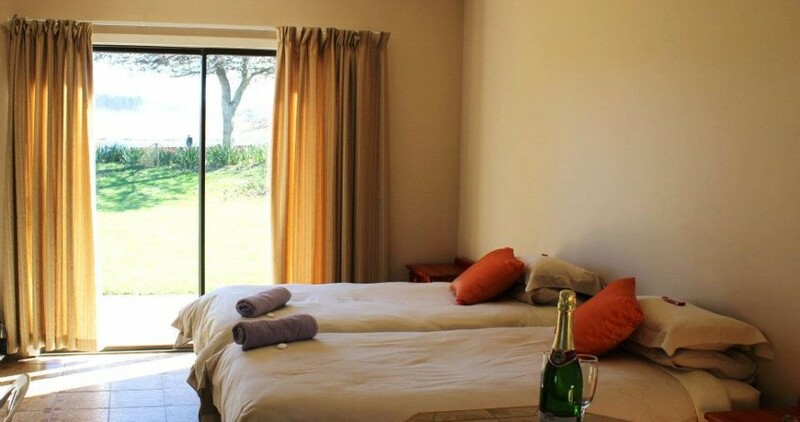 All our accommodation is basically equipped and serviced once daily. Linen provided. The Clubhouse has bar facilities and DSTV. All Cabins are fully equipped, linen is provided, and are serviced once a daily. SWIMMING TOWELS need to be brought. This rate includes all your use of our facilities and bass fishing. 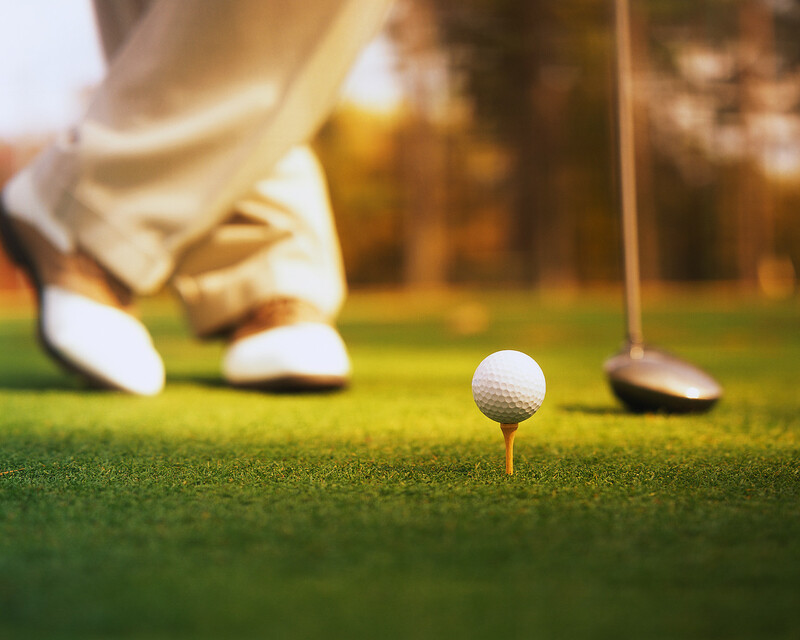 Whilst you are a resident at St Cathryn’s, member’s golf fees apply. Click here to download the accommodation booking form. Hermannsburg and Greytown Museums – visits by arrangement only. - The "Tee and Sandwedges" supplies Half-Way Refreshments and Toasted Sandwiches. - B & B - Ask for rates. - Dinners by arrangement only. 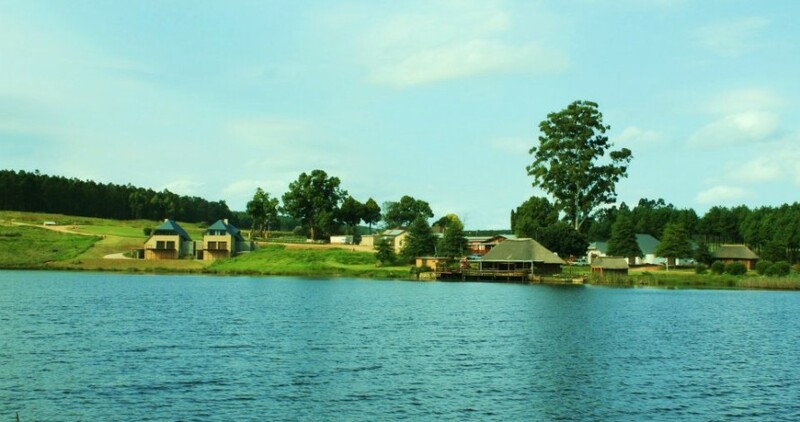 - Our dams also offer swimming, wind surfing, and paddle skiing. - Try our Bass and Tilapia fishing. - While away the hours with sundowners in the Clubhouse. - Visit the Shu-Shu hot springs in winter. - Off-road motorbike track available. - Mountain Biking (3,15 and 25 km).